The origin of the name April for the month we are currently experiencing comes from the Latin Aprills which means “to open.” Considering that it is the month when the trees and flowers begin to open (or at least we can hope for this), it seems an apt name. It is also the month when the U.S. and Canada celebrate National Poetry Month – four weeks of focus on poets and poetry and the pleasure that this unique art form can bring. Across North America there are hundreds of activities, readings and special events happening in schools, libraries, galleries and public spaces to celebrate poetry. In past Aprils you may have been lucky enough to witness one of the Random Acts of Poetry done throughout our city, or to participate in some other event. The Thunder Bay Public Library is doing something quite special this year and is hosting a reading and book signing by Indigenous poet, writer, filmmaker and scholar, Armand Garnet Ruffo. Everyone is invited to meet Ruffo at the Mary J.L. Black Library on Saturday, April 13 at 2:30 p.m. 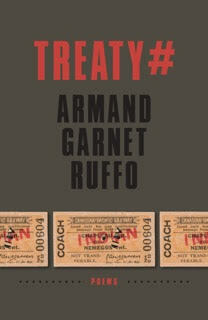 It is a free event and the poet will be reading from his latest book TREATY#. In this far-ranging work, Ruffo documents his observations on life, and in the process, his own life, as he sets out to restructure relationships and address obligations nation-to-nation, human-to-human and human-to-nature. It is a major new work from an important original voice, and one not to be missed. 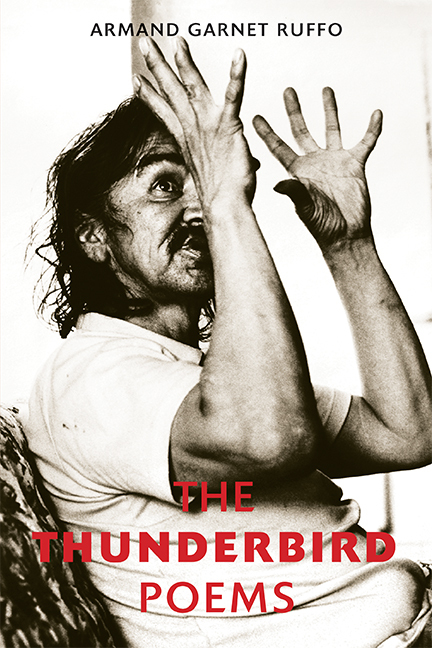 His earlier works can be found in the Indigenous Knowledge Centres at the Library and include contributions to anthologies and such titles as Norval Morrisseau: Man Changing Into Thunderbird and Grey Owl: the Mystery of Archie Belaney. Ruffo’s evocative poems evince a deep understanding of people and their thoughts and emotions. The images they create linger and invited further exploration of the subject matter. The story of Grey Owl, an Englishman who presented himself as an Indigenous person in Canada, is told from the multiple perspectives of people he met, his family and schoolmates and the women he loved as well as over multiple time periods. Of particular significance is the fact that Belaney spent three years living with the author’s grandmother’s family in the small northern community of Biscotasing and Ruffo has a unique personal connection to his subject. The narrative poems lead the reader into a full and deepening understanding of what motivated Belaney in his deception and how he was perceived by the settler and Indigenous people he encountered. It also leads the readers to more questions about one’s own identity even as it tells the story of one man. Ruffo is currently based in Kingston where he is Queen’s National Scholar in Indigenous Literature, and Associate Professor in the Department of English. He was previously a lecturer and chair of the Centre for Aboriginal Education, Research and Culture at Carleton University in Ottawa. Ruffo was born in northern Ontario; I hope that many people will take advantage of the opportunity to welcome him back to the north and to hear his poems in person. I am very much looking forward to hearing him read aloud for I find poetry is best received when one hears it in the voice of the person who wrote it.